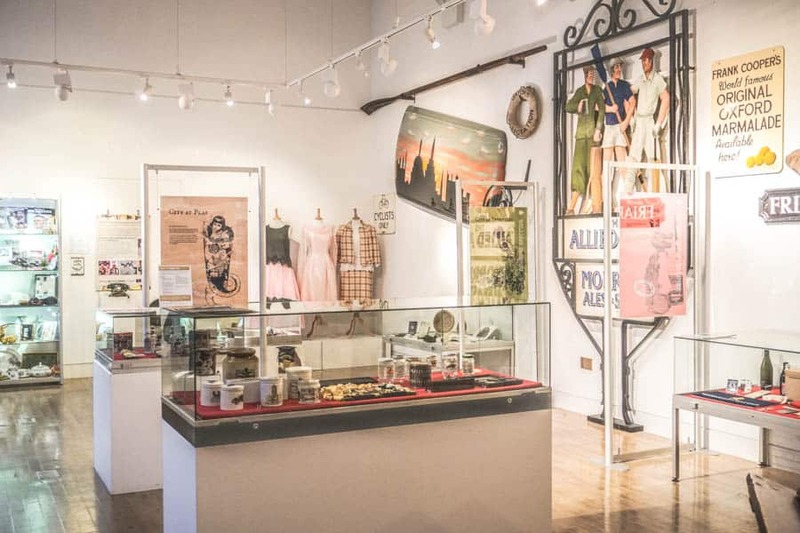 With so much history, it’s no surprise that Oxford boasts so many cool museums. 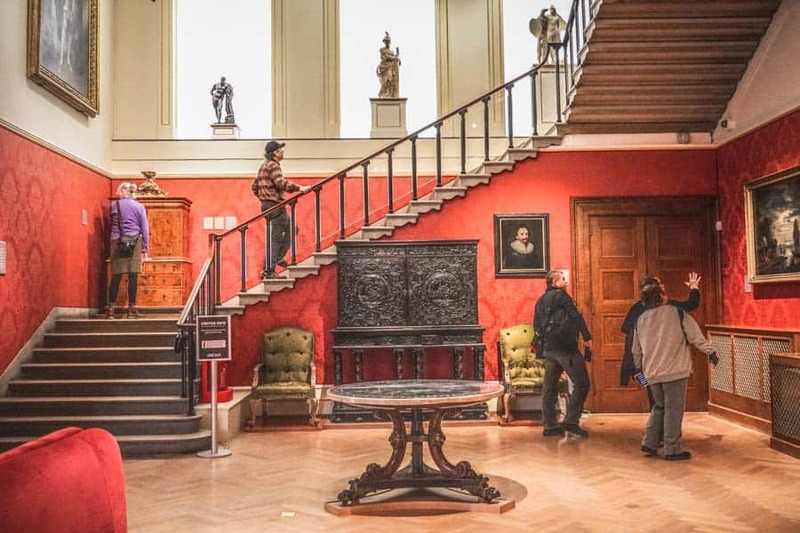 Looking for the best Oxford museums? Here are the ones you shouldn’t miss. Oxford is not short of a museum or two – this historical British city is filled with things to do, not to mention more than its fair share of cool museums. During my time living in Oxford, I spent many an afternoon exploring Oxford’s many museums. Some are pretty dull, but others are like stepping into another world. 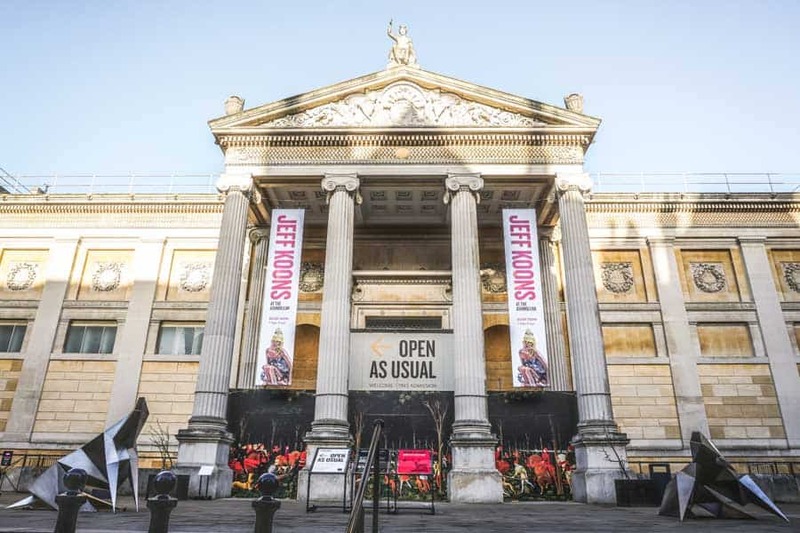 Whether it’s the internationally-renowned Ashmolean Museum or the rather more offbeat Bate Collection of Musical Instruments, there’s plenty to keep you entertained. Think of it as a slice of that world-famous education without the stress of exams and the prohibitive costs. Thumbs up to that. Looking for more ideas for your time in Oxford? Don’t miss my guide to the best places to see in Oxford. 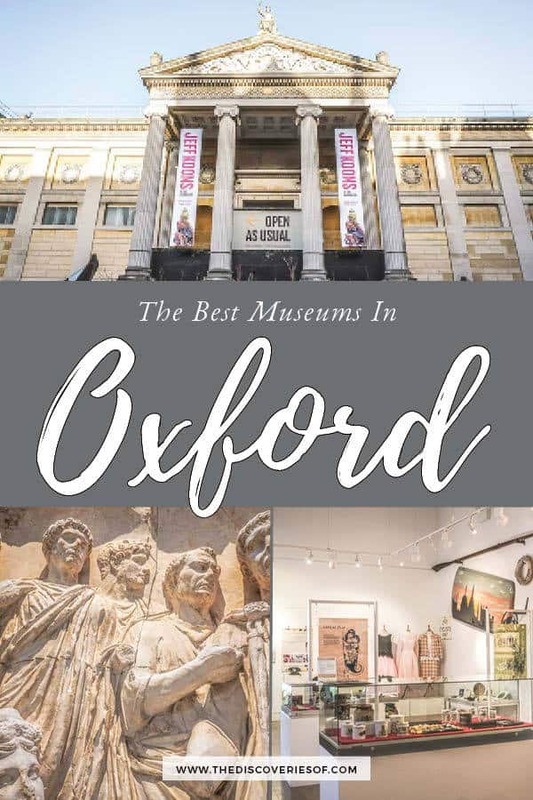 The Ashmolean is Oxford’s biggest museum and should be at the top of any Oxford itinerary. 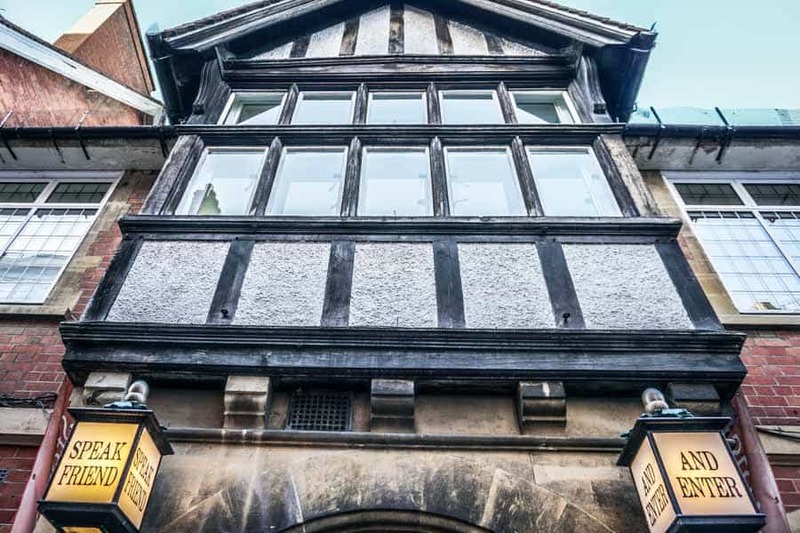 Situated on the corner of St Giles’ and Beaumont Street, this gargantuan museum takes you on a journey through the history of international cultures. The galleries are organised by five main departments – Western Art, Eastern Art, Coins, Antiquities and the Cast Gallery then subdivided by region. The thoughtful curation emphasises connections between the arts of different cultures that you would never otherwise have thought of. The Ashmolean opened in 1683 when Elias Ashmole donated his collection of rarities to the University of Oxford. It’s expanded and expanded over the years, moving to its current location and undergoing a huge renovation that finished in 2009. The end result is a fascinating museum – set aside at least a couple of hours to make the most of it. Finish your visit with a coffee in the stellar cafe – which is one of the best cafes in Oxford. The Pitt Rivers Museum is one of Oxford’s more hidden treasures. 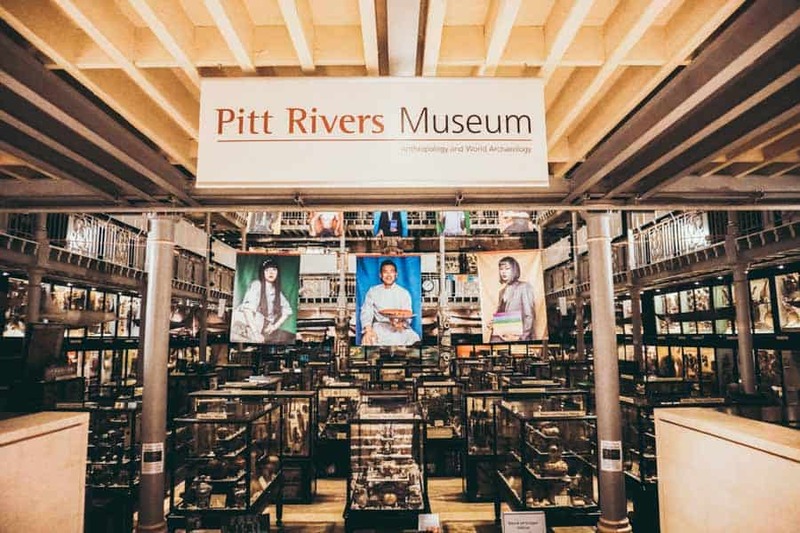 Tucked away in the same building as the Oxford University Museum of Natural History, the Pitt Rivers houses a collection of over half a million objects charting the history of man from around the world. At first glance, it’s a bit overwhelming – cabinet after cabinet filled with all kinds of curiosities stretching from the entrance to the back of the museum. Don’t worry – take your time to work through the collection, which is spread out over three floors. It’s arranged typologically (by type of object rather by the destination it came from), lending itself to interesting comparisons between the ways in which different cultures create objects to address the same problem. It’s an immersive walk through the history of man. In short, you really should visit. The best way that I can describe the Oxford University Museum of Natural History is that it’s like the Natural History Museum in London but on a much more accessible scale. The museum’s collection spans over 7 million objects, only a small proportion of which is on display at any one time. The displays are split into distinct areas – including zoology and mineralogy – but I’ll bet it’s the palaeontology collection that will first catch your eye. Fossils and replicas of dinosaurs dominate the museum floor, clustered by the museum’s exhibits. 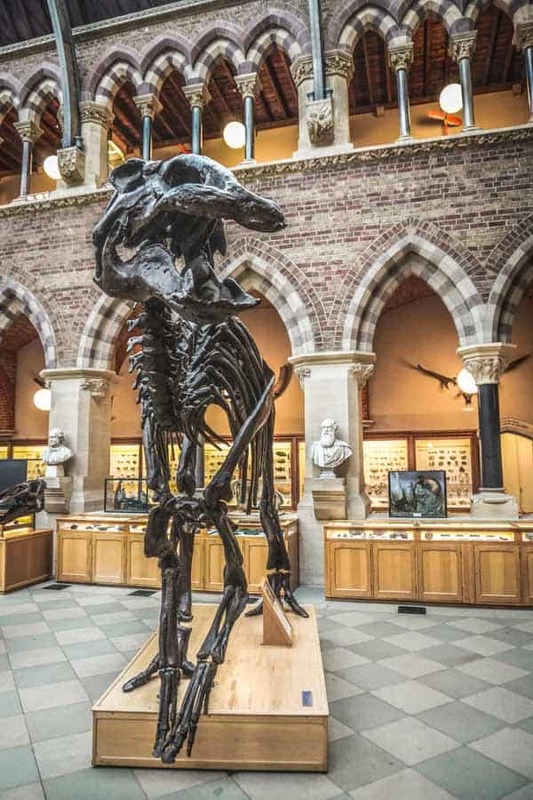 Oxford is inextricably tied with the famous children’s book Alice in Wonderland and the Museum of Natural History is no exception. The museum holds the last soft-tissue specimen of the now-extinct Dodo. It’s this exhibit that is thought to have inspired Lewis Carroll (real name Charles Dodgson) to create the character in book. I love visiting Modern Art Oxford as you’re never sure what you’re going to find. As the name suggests, this gallery is dedicated to showcasing the best contemporary art talents. 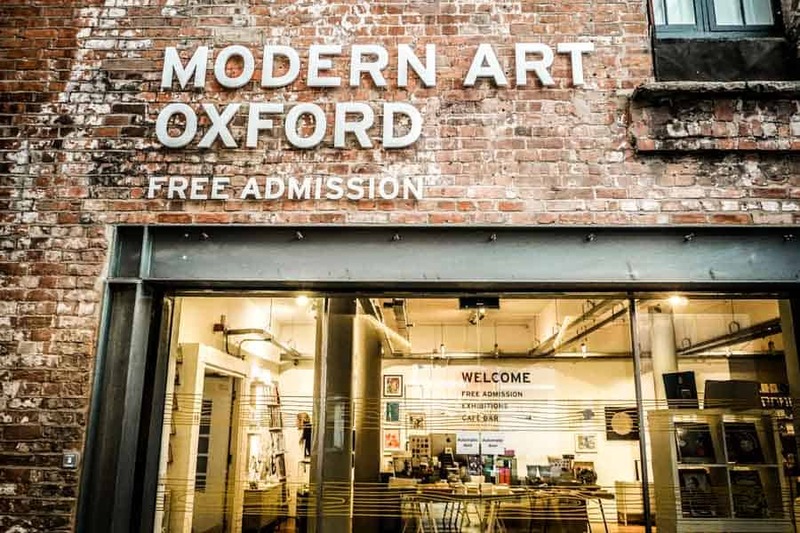 In a city that sometimes feels like it has its foot in the past, Modern Art Oxford is refreshingly focused on the present. It’s not a huge space, but it has earnt itself a respected international reputation for challenging exhibitions. Each exhibition is presented in a different fashion – so much so that it’s sometimes hard to believe it’s the same space. I’ll be honest, I’m not always a huge fan of the exhibitions and I think they can be a bit hit and miss – but they never fail to make you stop and think. 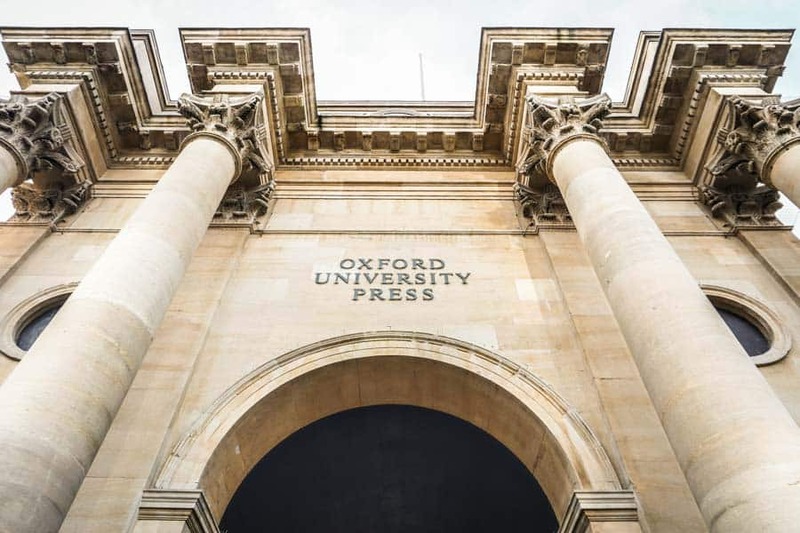 The gallery opened in 1966 – meaning it’s been pivotal in shaping Oxford’s art scene for over fifty years. Christ Church has it all – a long and illustrious history, its own cathedral – it was even used as a filming location for the famous Harry Potter series. But we’re not here to talk about that, we’re here to look at Christ Church Picture Gallery. Hidden near the back entrance to Christ Church, the picture gallery showcases the college’s collection of paintings and drawings by the Old Masters. The collection started in the 18th century, when General John Guise gifted over 200 artworks to the college to ensure that students could study great works without having to travel to Italy on the grand tour as was the norm. It’s expanded over the years before being moved to its current location in the 1960s. With 300 artworks and over 2,000 drawings, I was surprised by the scope of the collection. Highlights include Filippino Lippi’s ‘The Wounded Centaur’ and Jacopo Tintoretto’s ‘Martyrdom of St. Lawrence’. The Museum of Oxford charts the city’s own history. It’s currently undergoing renovation, so you can’t visit the main museum but they do have an interesting little exhibit in the back of the Town Hall that you can pop into for a taster of what’s to come. Even the small exhibition throws up more than few interesting facts – did you know that Christ Church is built on the site of an old priory that was dedicated to Oxford’s patron saint, St Frideswide? Or that Oxford was put under siege three times during the English Civil War as it was the seat of King Charles I’s Oxford Parliament? Pop in for a quick look around. The temporary exhibition in the Town Hall is free to enter. Another of the University of Oxford’s museums, The History of Science Museum occupies what long ago used to be premises of the Ashmolean Museum. The museum was founded in 1924 in order to preserve scientific objects from being destroyed and to help chart the development of science throughout the years. Initially built around Lewis Evans’ collection of scientific instruments, it has evolved throughout the years to become one of the biggest collections of scientific pieces in Europe. Don’t think this is a dry gathering of dusty old objects, the Museum’s curators have done a brilliant job of drawing you into the world of science. Peek at the blackboard Einstein used during one of his Oxford lectures, examine the original Penicillin culture, chart the early days of telecommunications and learn about the riveting history of science. The Bate Collection might not be everyone’s cup of tea – a collection of musical instruments does not, on the face of it, sound very exciting at all. But if you give it a try, The Bate Collection may just surprise you. The collection displays over 2,000 musical instruments from the Renaissance period to the present day. The instruments are mainly those used in Western traditions – but there’s the odd outlier thrown in for good measure – Javanese gamelan anyone? Wandering around the museum is an interesting enough way to spend an hour, but if you really want to bring it to life, I’d recommend booking a tour. Be warned, they must be booked in advance. Another Oxford museum that is currently under reconstruction, The Story Museum celebrates stories and delves into their transformative effects on people’s lives. Unfortunately you’re not able to access the museum’s exhibitions at all during the renovations, which are set to finish in spring 2020. The museum is still holding one-off events and workshops though – check ahead to see what’s on. The Weston Library is a part of Oxford University’s world-famous Bodleian Library. While much of the Bodleian is off-limits unless you book onto a tour, the Weston Library hosts an ever-changing roster of exhibitions. The exhibitions are pretty diverse. 2019’s calendar includes exhibits on historical women who dared to do the unexpected, a display of boxes and bags used for carrying books, the art of translation and how maps help people to understand the world they live in. A small museum in the Oxford University Press buildings in the Jericho area of town, The Oxford University Press Museum walks you through the history of printing and publishing from the 15th century to today. You have to book ahead to visit the museum, which is a bit of a killjoy – but it does mean that it’s never overcrowded and you have plenty of space to explore the museum at your leisure. Click here to open a Google Map of Oxford’s museums. The Ashmolean is the biggest of the museums – I’d advise spending a full morning or afternoon there to do it justice. Most of the other Oxford museums can be visited in an hour or two. I love the Pitt Rivers and could easily spend a day looking at the exhibits – don’t be surprised if you end up spending more time than you expected. Although there are many free museums in Oxford, most suggest a donation of £5. These donations help to keep the museums running and to ensure their preservation for future generations. Here are a few quick pointers for places I’d recommend in the city. Hotels: The Old Parsonage Hotel (High End), The Old Bank Hotel (High End), Malmaison Oxford (Mid-Range to High End). Cool Places to eat: The Vaults Cafe (in the University Church of St Mary), Brasserie Blanc, Gee’s, The Cherwell Boathouse.